Get out the hot glue gun, mini eggs and feathers – it’s Easter hat season in Canberra. If you’re lacking inspiration (and let’s be honest, time) this year, we’ve got you covered. 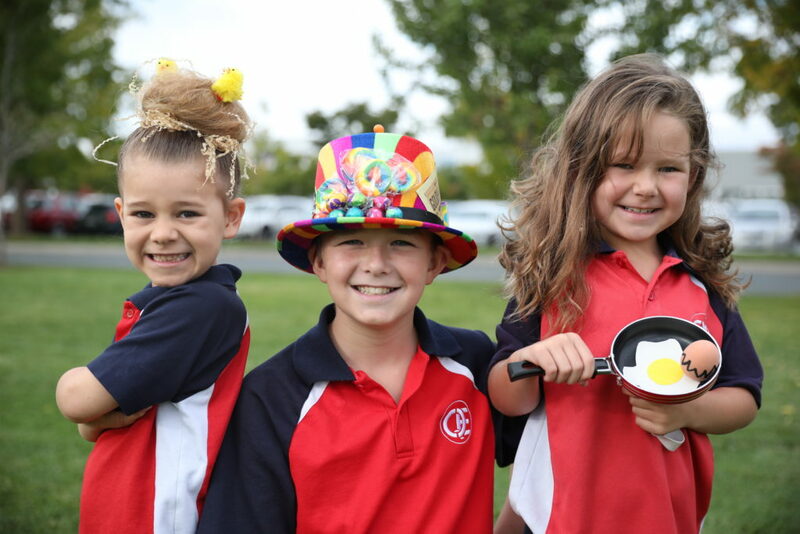 The three options below are all sourced at Majura Park Shopping Centre and range from the super simple to a more complex option even Willy Wonka himself would love. 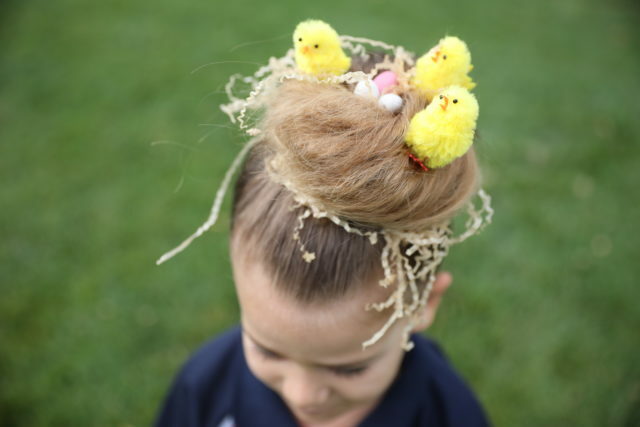 If you’ve got a son or a daughter with long hair, this Easter nest is a total WIN. This one is a bit of a show stopper. Less about glitter, foiled eggs, feathers and cardboard, and more on the ‘minimalist side’, it’s an Easter hat as simple as it looks. But it’s just so clever. 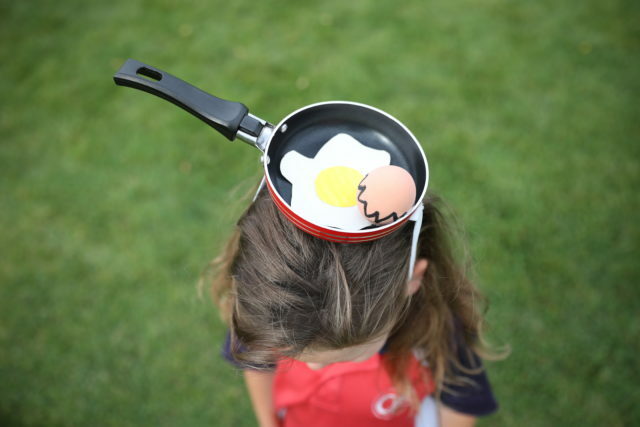 You even get to keep the tiny fry pan for cooking real eggs afterwards. Bonus! Enter a world of “pure imagination” with this multicoloured, Wonka-themed Easter stunner. 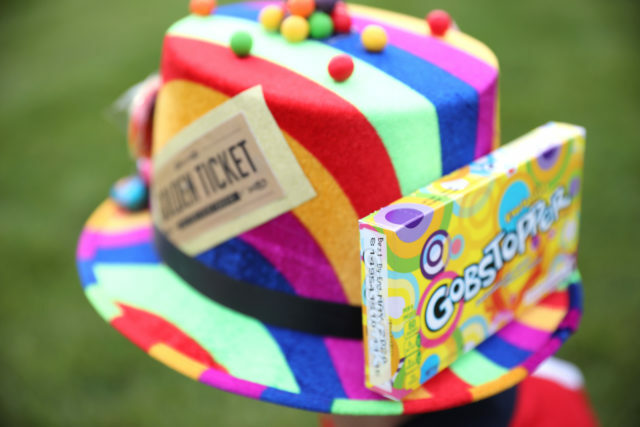 It starts with a rainbow hat from Majura Park Shopping Centre store Story Room, and ends with layers of bright lollies, Easter eggs and, of course, the iconic golden ticket. This one requires a lot of glueing but the end result is a hat Willy Wonka himself would be jealous of.